Imagine an indulgent, calming yoga practice, while your little ones are looked after … sounds perfect right? 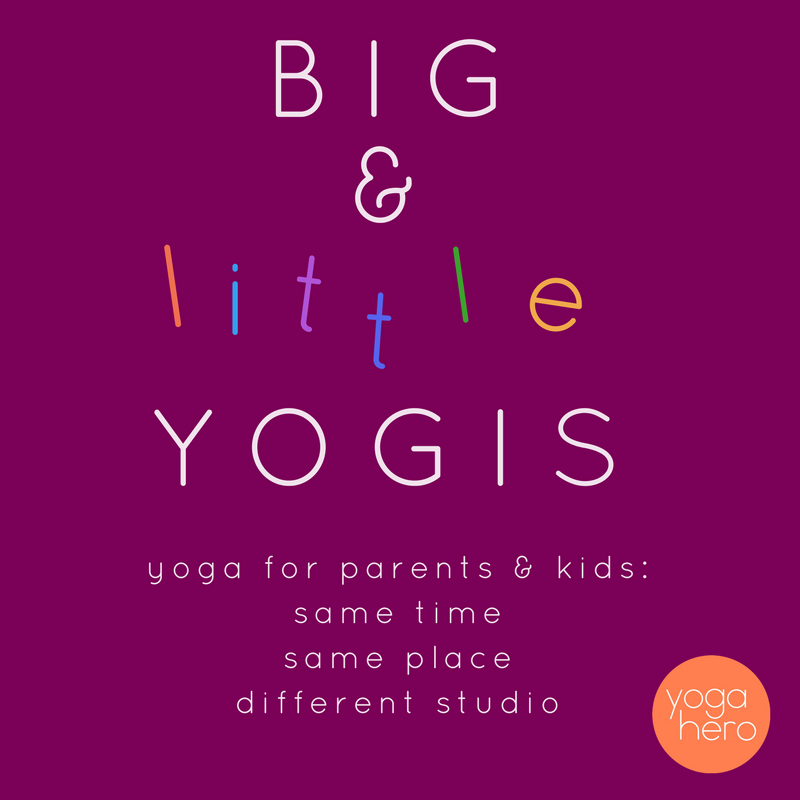 Well that’s what Yoga Hero can offer you: a whole hour of delicious, relaxing Yin Yoga, while your little ones enjoy their own yoga class through story telling, exciting games, creative tasks and playful movement in the studio right next door. This children’s yoga workshop, for kids aged 4 – 10, incorporates traditional practices of yoga into a more game related, story telling set up for young children to experience. Every activity will bring a new adventure, and has underlying principles of yoga at it’s core. There are many benefits of yoga for children, including an increase to strength, flexibility, balance and co-ordination, to name a few. It also assist in the brain development of young children; increasing the use of and understanding of vocabulary, helping to develop necessary skills to manage emotions – all of which are valuable skills that can be transferred into both home and school life. A full hour of uninterrupted Yin Yoga. This Yin Yoga practice is focussed on relaxation. In Yin Yoga, we hold poses for a few minutes, really allowing you to unwind completely; making the most of this uninterrupted time. In each posture, you will supported by blocks and bolsters, allowing your body and mind to relax. Yin Yoga works with the deep tissue in the body, so it’s maximum benefit, with very little effort! Come relax and enjoy while your little ones learn and have fun.